Passage of the bill would make Canada the first G7 country to legalize the recreational use of pot nationwide. OTTAWA: Prime Minister Justin Trudeau's Liberal Party will introduce legislation in the coming weeks that would legalize the recreational use of marijuana in Canada by mid-2018, reports said Monday. The announcement prompted shares of companies producing cannabis for medical purposes to surge on the Toronto Stock Exchange. "This will legalize access to cannabis, but at the same time will regulate and control access," Health Minister Jane Philpott said. "We want to make sure the profits are kept out of the hands of criminal organizations." Trudeau's Liberal caucus was briefed on the timeline for the proposed measure during a weekend meeting, public broadcaster CBC reported, citing unnamed sources. The legislation would be unveiled the week of April 10 and passed by July 2018, CBC said. The new regulations would broadly follow recommendations by a federally-appointed task force issued in December, it added. They called for setting a minimum age of 18 or 19 years old for pot use, in line with restrictions on alcohol consumption. They also outlined criminal penalties for trafficking and selling cannabis to underage people. Under the proposed rules, Canadians would be allowed to grow up to four plants at home for personal use. Personal possession would be limited to 30 grams (one ounce). Each province would determine the appropriate means for distributing the drug. The Canopy Growth company, which cultivates cannabis for medical use, jumped 11 percent on the Toronto Stock Exchange to Can$11 ($8.22) a share. Another producer, Aurora Cannabis, saw an increase of Can$2.50, while shares of Aphria gained 8.4 percent to reach Can$6.70. The surge reflects the market's potential importance. 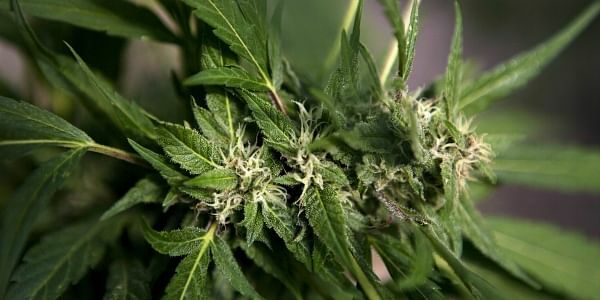 A report by the Parliamentary Budget Officer last year predicted modest tax revenues, based on projections of 4.6 million consumers spending Can$4.2 to Can$ 6.2 billion a year for 655 tonnes of cannabis. But the Canadian Imperial Bank of Commerce estimated tax revenues could reach up to $Can5 billion or more if added tourism revenues are taken into account. As a proliferation of pot stores are jockeying to grab early market shares, the authorities say a current ban on possession and sale of marijuana for recreational use remains in effect for now. "Until we have a framework to control and regulate marijuana, the current laws apply," Trudeau said in early March.